I originally found this picture on Pinterest, however to link on the pin was so suspicious, that my browser would not let me even go there! However via Tineye, I was able to find the stock photo on Shutterstock... I'm not sure why the site is in Japanese or Chinese. Forgive me. 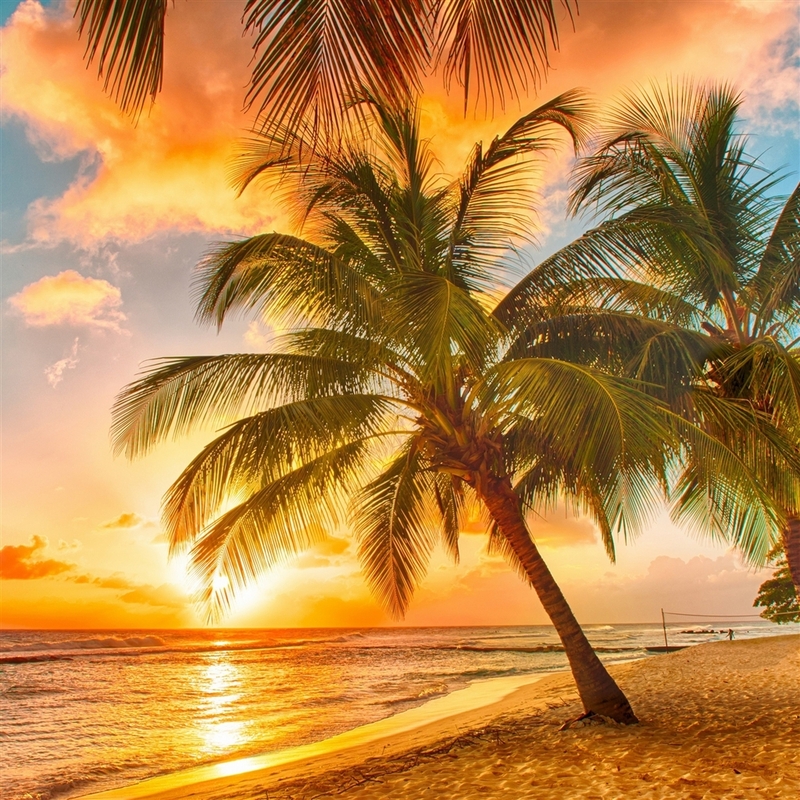 "Beautiful sunset over the sea with a view at palms on the white beach on a Caribbean island of Barbados." Check out Barbados vacation package deals over at Expedia.com!